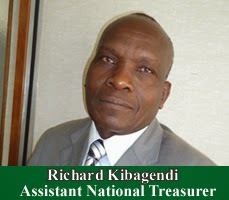 Campaigns to replace the outgoing Knut assistant Treasurer Richard Kabagendi has kicked off with a number of prospective candidates forming campaign teams ahead of the December by-elections. The seat for the assistant treasurer according to KNUT traditions is a preserve of Nyanza and specifically the Kisii region. Kabagendi comes from Nyamira County. Back in Kisii, the KNUT tradition will also have to be obeyed to have it rotate from Nyamira to Kisii. Already three names are being mentioned as possible candidates for the Knut-House based position. The Gucha Branch Executive Secretary Sam Nyairo has publicly declared that he will give it a shot. Others are Borabu branch executive secretary John Matiangi and NEC member Geoffrey Mogire. Those who have been keenly following KNUT politics in Kisii region say that the race will be between Nyairo and Mogire as Matiangi they say if the Knut tradition is to be followed than he is automatically locked out since the outgoing Kabagendi is from Nyamira. Already Nyairo is said to have hit the ground running as he reaches out to Nyanza delegates for their blessings and his game plan is to first consolidate the home support. Nyairo is said to have a head start as he is said to enjoy a good rapport with top Knut officials across the country including the national officials. He is currently being considered a front runner. During the recent KNUT by-elections before Wilson Sossion and Mudzo Nzili agreed to swap positions in a gentleman’s agreement, Matiangi and Mogire were in Nzili’s camp while Nyairo was Sossion’s point man in the larger Kisii region. Sources say this gives Nyairo advantage over Mogire and Matiangi since he might enjoy the backing of Sossion. Those who know him well say he is a close confidante of Sossion. Mogire on the other hand relies on the support from section of NEC members where he sits while Matiangi sources allege that his main disadvantage is that already there are mummers that apart from coming from Nyamira, he is a brother to Cabinet Secretary Fred Matiangi and that there are those who say that the larger Matiangi family is well represented and that John should not contest. At the moment, no candidate from outside Nyanza has shown interest in the seat and chances are high that delegates will have only three candidates to choose from once election date is announced.